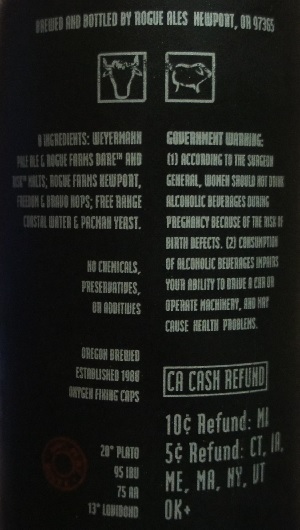 Other Notes: 95 IBUs. 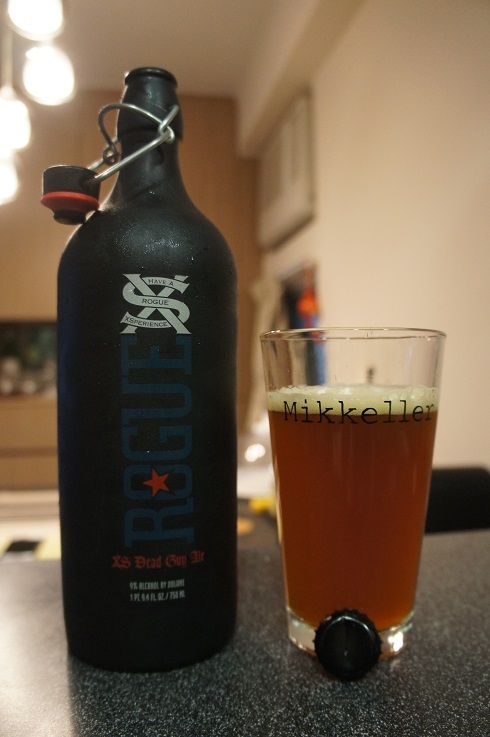 Malts – Weyermann Pale Ale and Rogue Farms Dare and Risk. 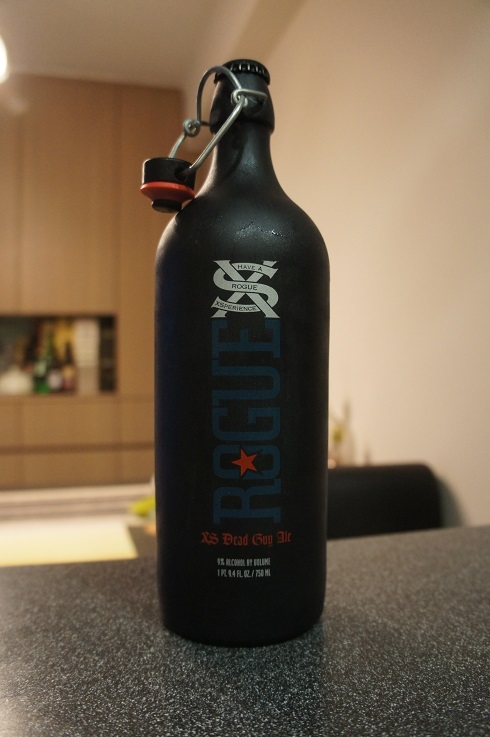 Hops – Rogue Farms Newport, Freedom and Bravo. 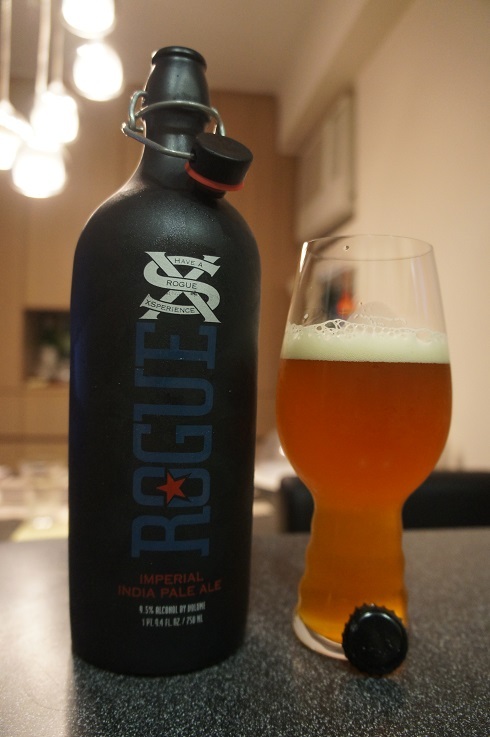 Brewer Description: The Rogue XS Imperial IPA is above and beyond an India Pale Ale. Dubbed ‘I2PA’, this ale is radically hopped and the result is an intense aroma and hop bitterness. XS Imperial IPA is unfiltered and aged for 9 months before it leaves the brewery – not for the faint of heart! Intro: A 750ml ceramic and wingtop bottle with no bottled on or best by date. Poured into a Spiegelau IPA glass. Other Notes: 60 IBUs. 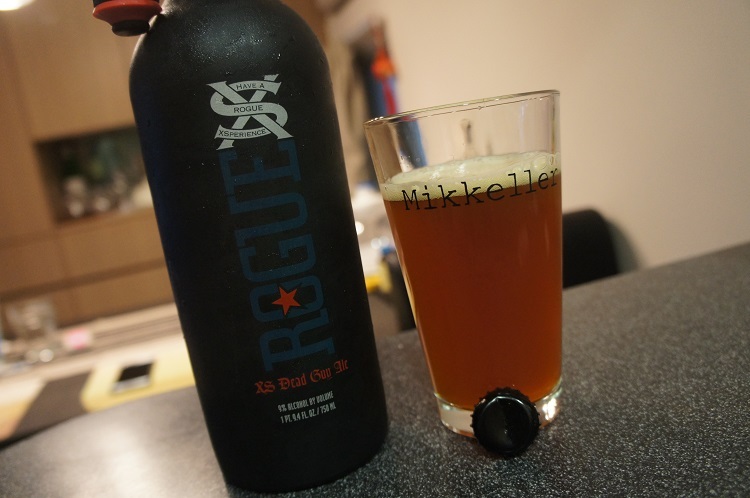 Malts – 2-Row, C15, Munich, Rogue Farms Dare and Risk. 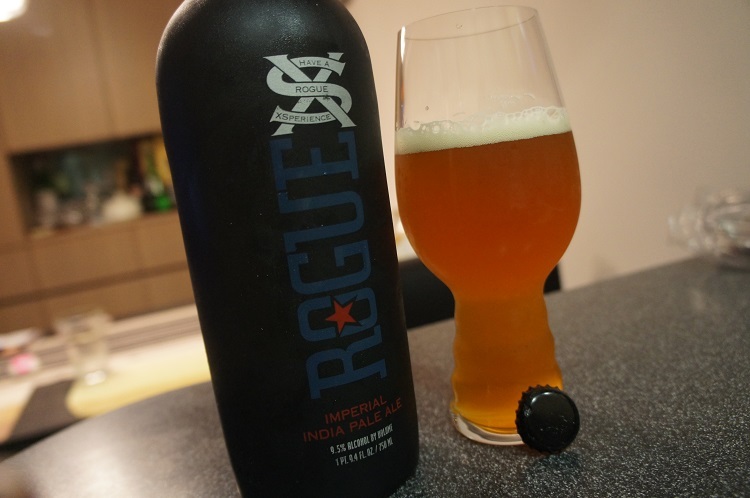 Hops – Rogue Farms Revolution and Independent. Brewer Description: Deep amber copper color. Buttery peanut brittle, orange blossom tea aromas follow through to a rich chewy and fruity full body with nice notes of caramel drizzled dried apricot and roasted grains and spice. Finishes with a long, tangy grilled grapefruit and chocolate fade. 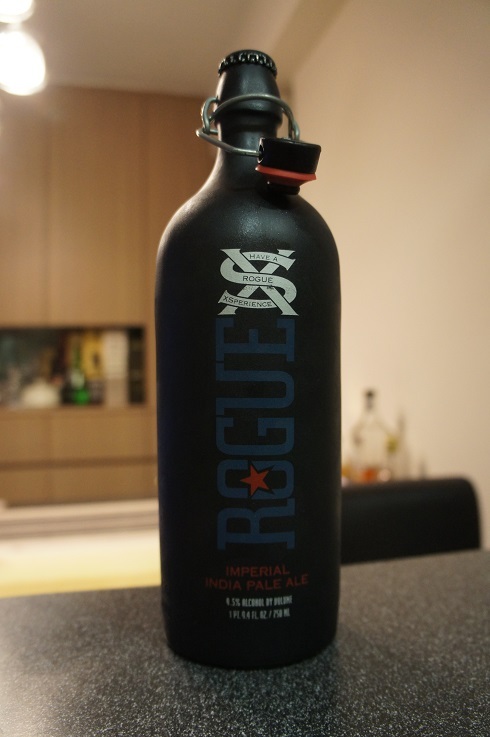 Intro: A 750ml ceramic and wingtop bottle with no bottled on or best by date. Poured into a Mikkeller pint glass. Appearance: It poured a cloudy dark amber colour with a one finger off white head that dissipated fairly quickly but left some spotty lacing. Aroma: Apple juice (very juicy), caramel, biscuit malt, grape and a hint of orange. Taste: Caramel malt sweetness, apple juice, tea, grape, raisins and dark berries. Overall: This was ok. Not bad, but just ok. A little bit too caramel-ly sweet for my taste buds.